A Fake Eyewitness to Mass Murder at Belzec Whatever Karski's purposes were during the Second World War, it is now admitted by him and his biographers that he was lying about having slipped into Belzec and observed the alleged extermination of Polish Jewry. Yet the admission that Karski is a liar and a libeler comes matter-of-factly in the biography, and has caused no noticeable stir in the Holocaust industry. 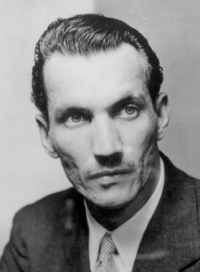 Karski continues to be trotted out on behalf of the U.S. Holocaust Memorial Museum, the ADL, and other groups not only as an eyewitness who "proves" the standard story, but as a great moral authority.